Z Urology was founded in 2005 by Dr. Michael P. Zahalsky and has since grown adding Mini Varghese, MD, Christopher Hollowell, MD, FACS, Justin Muskovich, MD and Michael Tyler, MD along with a team of dynamic Physician Assistant’s. Z Urology prides itself on providing State of the art Urologic care to South Florida with a focus on both male and female urology. 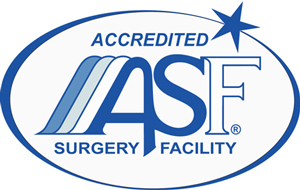 Our practice specializes in all urologic procedures specifically minimally invasive methods. Z urology’s goal is to provide exceptional urologic care, tertiary academic medicine to our South Florida community. Our Practice has specialty trained allied health professionals. This includes Melissa Marchand, MCMSc and PA-C, Monika Kulik, MMS, PA-C. Our Allied Health team conduct physical exams, diagnose and treat illnesses, order and interpret tests, counsel on preventative health care, assist in surgery and prescribe medications. Z Urology recognizes the importance of the patient provider relationship. We strive to provide our patients with a top-quality, comfortable experience in our office, the hospital and the skilled nursing facility. We recognize the importance of communication and meeting the needs of all of our patients, in doing so our staff speaks a variety of languages that include English, Spanish and Creole. Z Urology has one of our Practitioner’s available to our patients via on-call phone access 24 hours a day, 7 days a week. Our practice is completely electronic with our medical records system and we have access to each patient’s medical history if needed.